If your MLD sticky note pad is down to the last few sticky notes, you’re in luck! 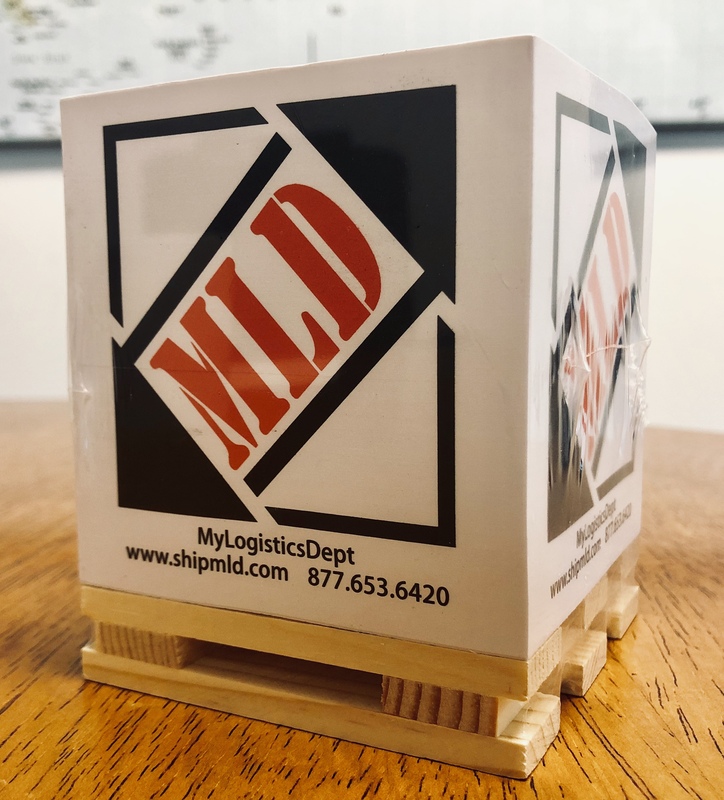 These sticky note pads proudly display the MLD logo, measure 3.5” x 3.5” x 4.25”, and are stacked on a mini pallet. When used properly, they can make most desktops and work areas appear more productive. To get your new MLD sticky note pads, please contact us at info@shipmld.com.